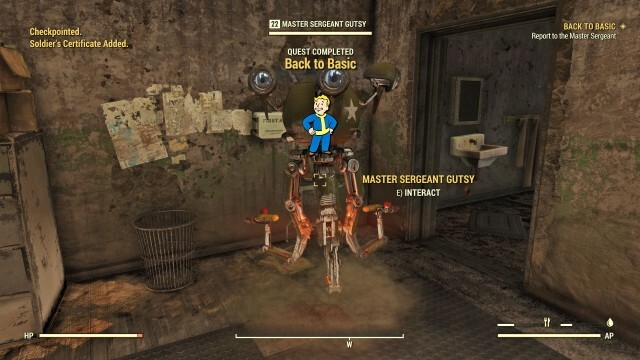 Back to Basic is a side quest in Fallout 76 that takes place at Army Camp McClintock. 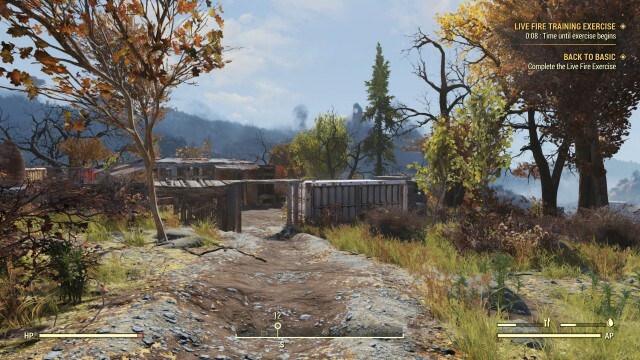 In this quest, you will go through a number of basic training exercises to join the Military. 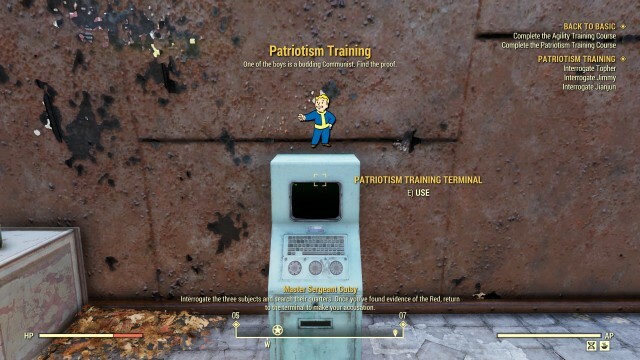 There are many ways to receive this quest, such as establishing a connection to the Army for the Enclave, trying to get a valid Military ID for the Brotherhood of Steel, or maybe you just want to make your country proud. 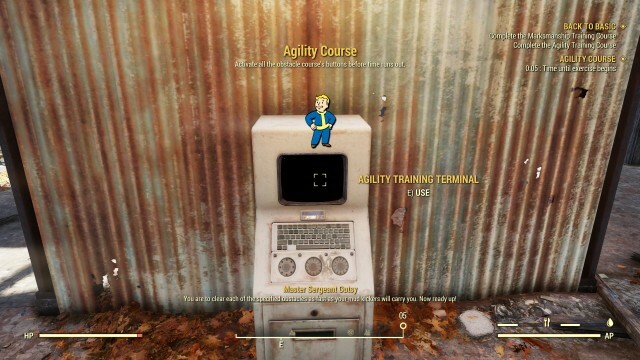 You can do this quest at any time, but this quest is required to be completed if you want to complete another main quest, Recruitment Blues. 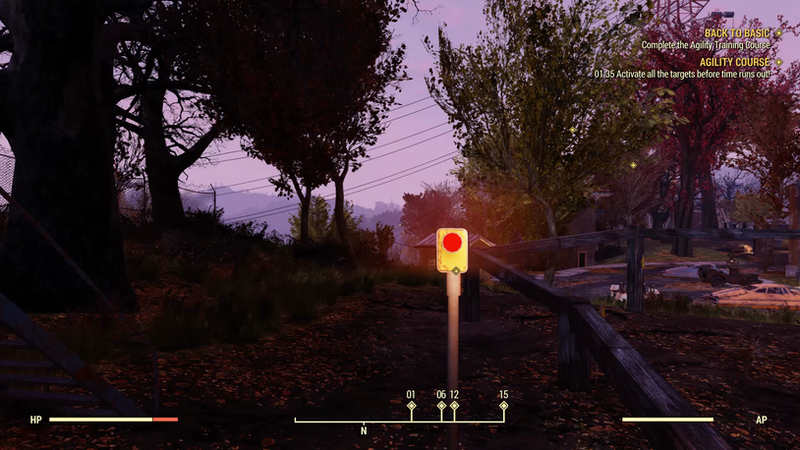 Once you’ve completed this side quest, you will gain 60 Caps and 800 XP for the rewards. Then let’s get started! 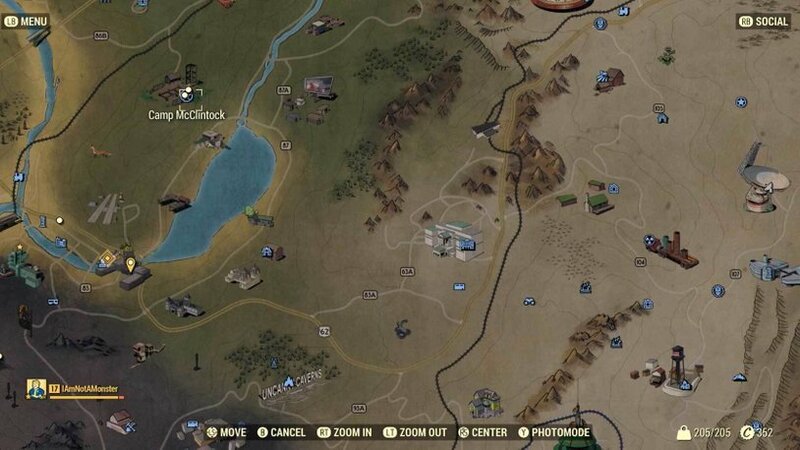 The first thing you have to do is travel to Camp McClintock. 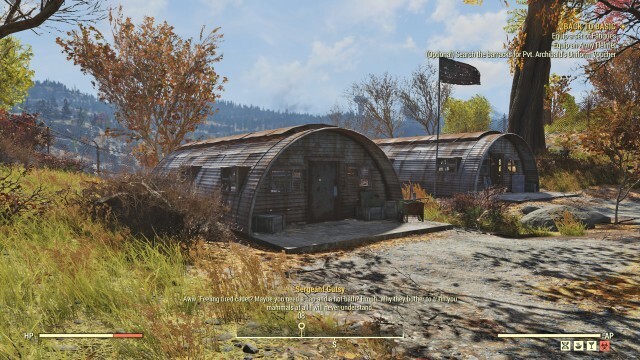 This camp is in the Forest region of Appalachia, located north of the Summersville Dock and south of the New River Gorge Resort. 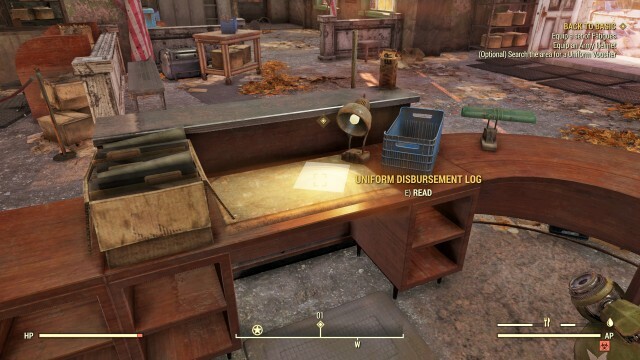 Head downstairs to the front desk and grab the Uniform Disbursement Log. There you can read that Pvt. 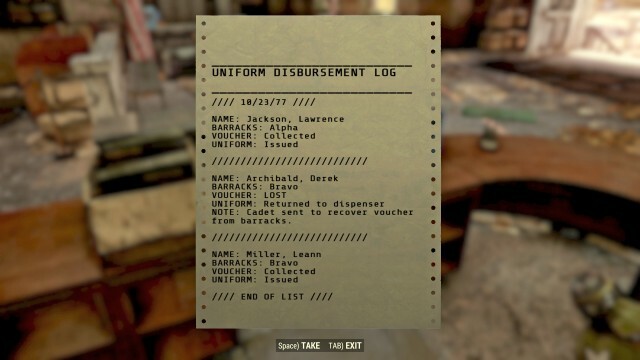 Archibald was sent back to the barracks because he lost his fatigues and needed to receive a new uniform voucher at the barracks. 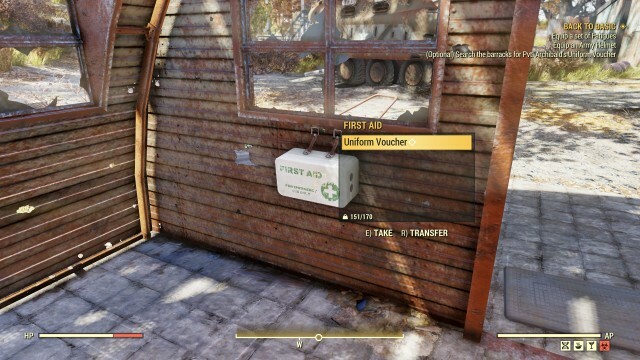 Head over to the barracks on the south side of the camp, at the entrance to the barracks on the inside left of the doorway, you will see a first aid kit with a Uniform Voucher. 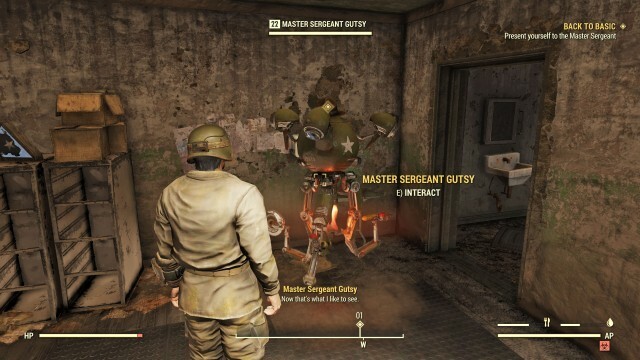 Use the Uniform Dispenser and you will get Dirty Army Fatigues and Dirty Army Helmet. Wear them all then check in with the Master Sergeant. Walk out the east end of the main building, toward the bunker in the back. 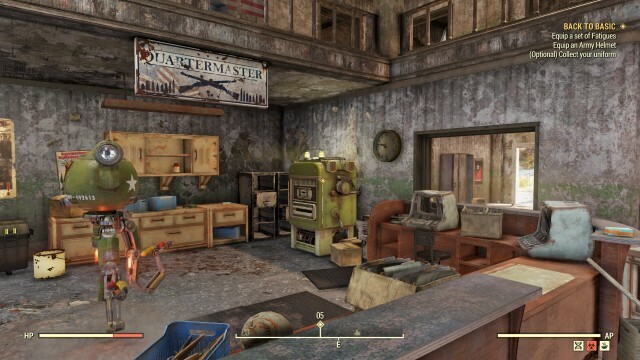 Inside there should be three rooms on your left and a terminal on your right, interact with the terminal to begin your training course. The test will present you with three kids; Jimmy, Topher, and Jian Jun. Your job is to inspect the room of each and interview them to figure out who may be a “budding Communist”. Select [Begin Course] and start to interview each child. Each child may say they love America, but you will find out that Jimmy, in the middle blue room (with the knocked over Manikin) seems a bit suspicious. 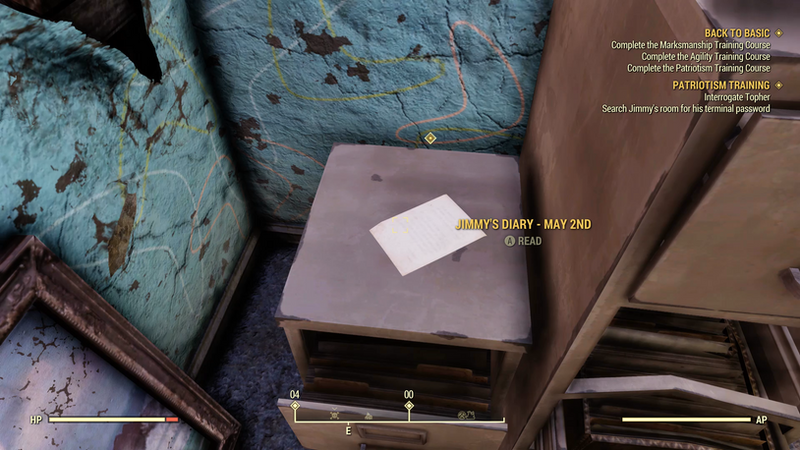 An investigation of his terminal reveals it is locked by a key, to unlock Jimmy’s terminal, walk to the file cabinet in the east corner of the room, on top, there will be a note titled “Jimmy’s Diary – May 2nd”. 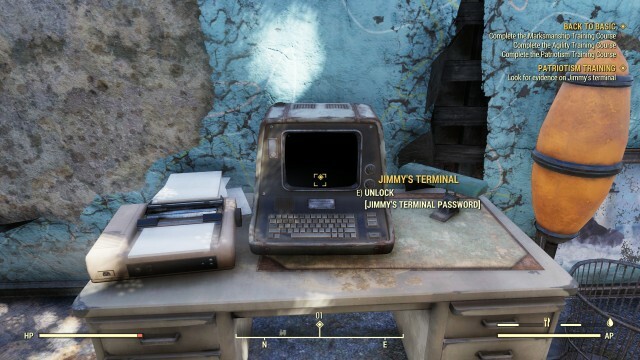 Read it to get Jimmy’s Terminal password, and interact with Jimmy’s Terminal once again, read his logs inside titled with “Pop Was Coughing Again” which reveals some evidence against him. Return to the terminal you began this test and turn Jimmy in. Congratulations! 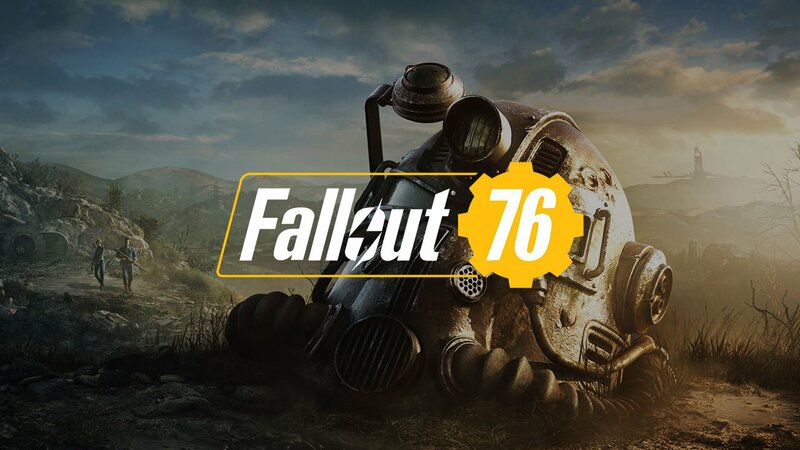 You have passed this course and can move on to the next one. 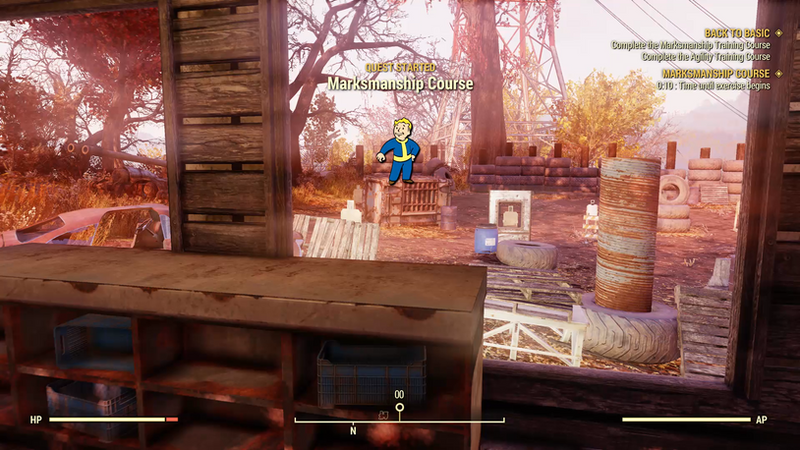 Walk towards the north end of camp, into the shed facing a shooting range, use the terminal inside to begin the Marksmanship Course. Your test is to hit all the targets in the range within 30 seconds, to complete this test, you would have to use a semi-automatic weapon. That’s it, once you complete the course in under 30 seconds, your Marksmanship training is done! Go to the South-West end of the camp, and like the other courses, you will find a terminal next to your test. For this course, you will have to press a series of buttons in order before time runs out. 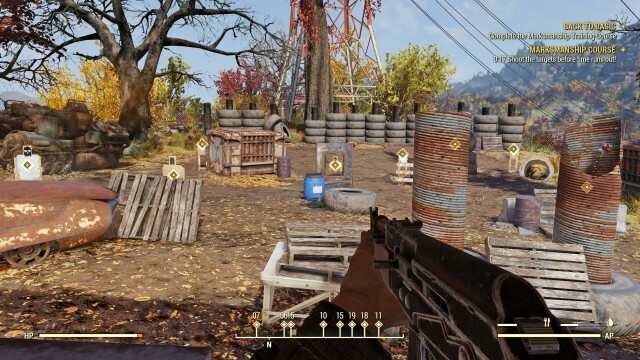 The buttons have to be pressed and you have to “run through” the rest of the targets. 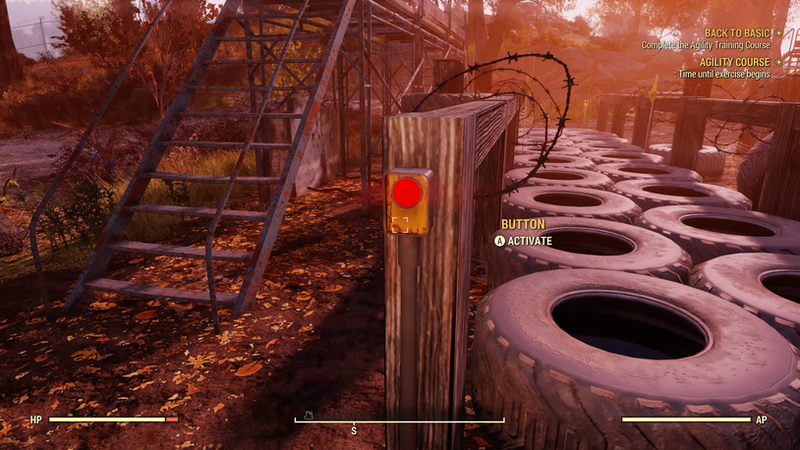 Your first obstacle is a tire run, just jump on top of the tires and run across to the button on the other side. 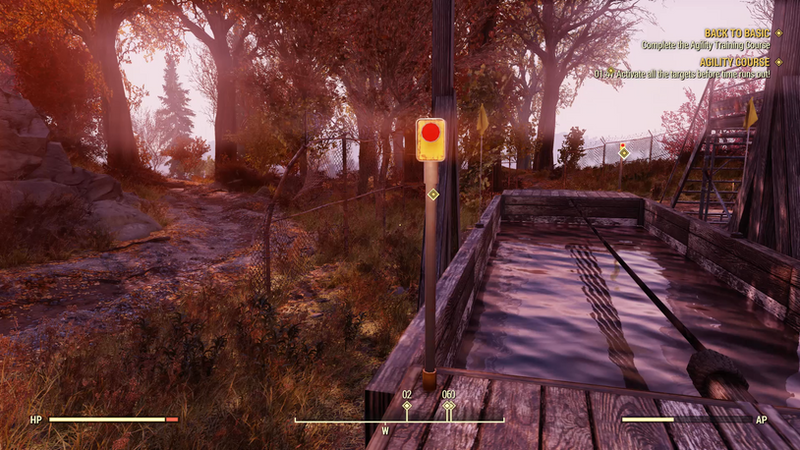 Next up is the rope walk across water, keep your center and walk slowly across the rope. Next one is quite difficult, here you have to crawl under barbed wire under mud. 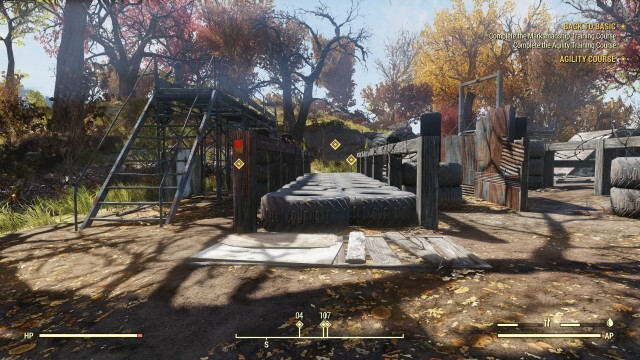 The beam walk will likely be the hardest obstacle for you to complete, so don’t be afraid to take it a bit slower. 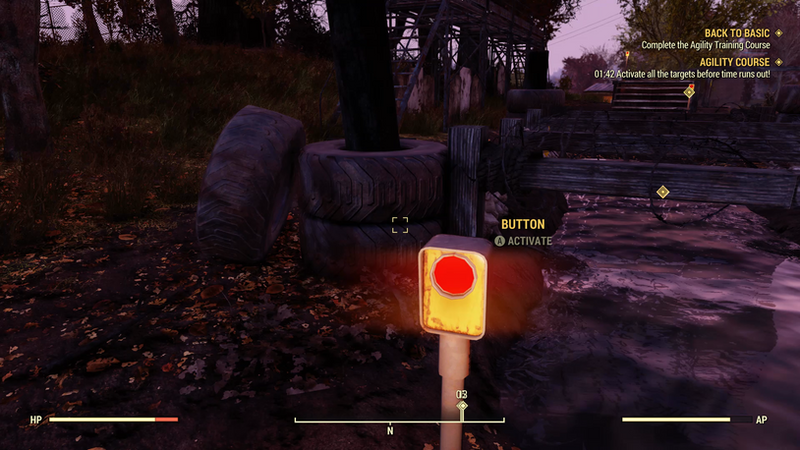 There are 3 buttons to press along this obstacle so make sure to press each one. After the beams, all you have to do is run up and down a steep ramp. 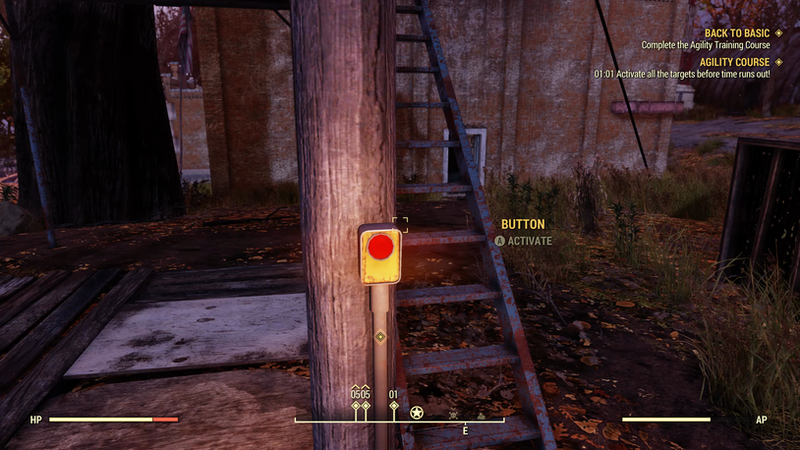 Then head to the base of the tower, pressing the button at the top and bottom, to complete the challenge. 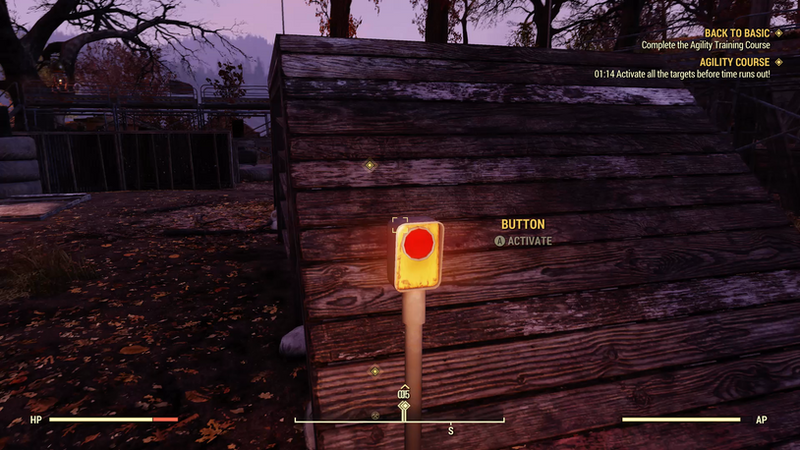 Once you reach the top and activate the button, you will get your completion time and the test will be complete! 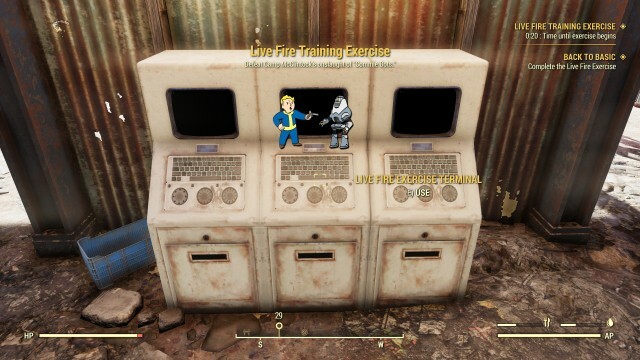 Now that you’ve completed each of the training courses, the Master Sergeant will feel that you’re ready for the Live Fire Training Exercise. In this test, you will have to deal with waves of Protectrons, Mr. Gutsys, and eyebots painted as communists. 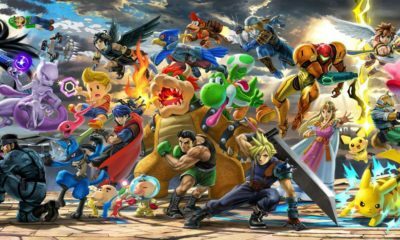 Now move to the training area and wait for your enemies. 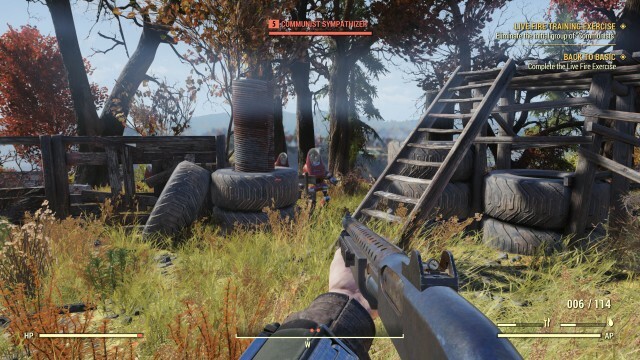 Once you’ve defeated the final wave, report back to the Master Sergeant everything you learned from your training. Welcome to the military soldier! 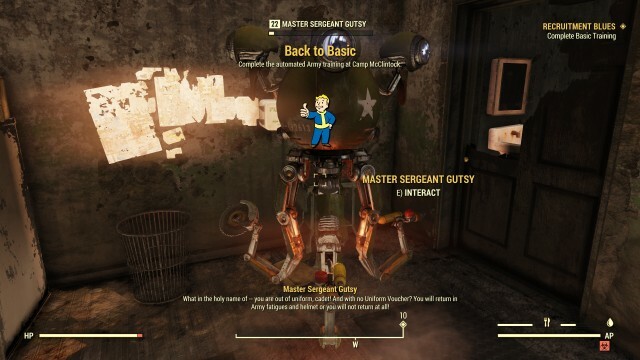 Back to Basic quest is now completed and you have earned you Soldier Certificate.